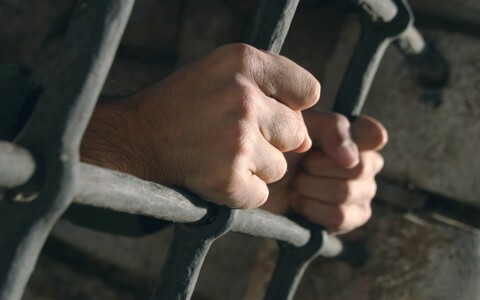 What Does The Bible Teach About Prisoners? What does the Bible teach about prisoners? Why is it important for us to know? People that are not saved don’t even realize that they’re being held captive by the god of this world who has blinded them to the glorious gospel of Jesus Christ. How can I say that? The Bible says that “the god of this world has blinded the minds of the unbelievers, to keep them from seeing the light of the gospel of the glory of Christ, who is the image of God” (2 Cor 4:4) for just as with the Jews, the unsaved “minds were hardened. For to this day, when they read the old covenant, that same veil remains unlifted, because only through Christ is it taken away” (2 Cor 3:14). Indeed, the gospel “is veiled to those who are perishing” (2 Cor 4:3) and so it’s no wonder that “the word of the cross is folly to those who are perishing, but to us who are being saved it is the power of God” (1 Cor 1:18). For us, “we preach Christ crucified” even though it’s a “stumbling block to Jews and folly to Gentiles” (1 Cor 1:23). In other words, the Devil has blinded the lost to the gospel and he is presently holding them captive which is even unknown to them. Jesus Christ came for the express purpose of announcing the Kingdom of God and the need for repentance and belief (Mark 1:15) and said “The Spirit of the Lord is upon me, because he has anointed me to proclaim good news to the poor. He has sent me to proclaim liberty to the captives and recovering of sight to the blind, to set at liberty those who are oppressed” (Luke 4:18) and it is “For judgment I came into this world, that those who do not see may see, and those who see may become blind” (John 9:39). This explains why Jesus said that He spoke “to them in parables, because seeing they do not see, and hearing they do not hear, nor do they understand” (Matt 13:13). The Jews are not that different from the non-Jews in that “God gave them a spirit of stupor, eyes that would not see and ears that would not hear, down to this very day” (Rom 11:8). Paul would add “Note then the kindness and the severity of God: severity toward those who have fallen, but God’s kindness to you, provided you continue in his kindness. Otherwise you too will be cut off. And even they, if they do not continue in their unbelief, will be grafted in, for God has the power to graft them in again. For if you were cut from what is by nature a wild olive tree, and grafted, contrary to nature, into a cultivated olive tree, how much more will these, the natural branches, be grafted back into their own olive tree” (Rom 11:22-24). Paul’s entire point in Romans 11 is that we are grafted into the natural tree (Israel) by God Himself and become part of the family of God but we should not consider the lost or the Jews as inferior because “it is not you who support the root, but the root that supports you” (Rom 11:18). Jesus is going to return to judge the world in righteousness just as He said; “When the Son of Man comes in his glory, and all the angels with him, then he will sit on his glorious throne. Before him will be gathered all the nations, and he will separate people one from another as a shepherd separates the sheep from the goats” (Matt 25:31-32) but how will He know which are the sheep and which are the goats? It will be when “the King will say to those on his right, ‘Come, you who are blessed by my Father, inherit the kingdom prepared for you from the foundation of the world’” (Matt 25:34) because, as Jesus says, “I was hungry and you gave me food, I was thirsty and you gave me drink, I was a stranger and you welcomed me, I was naked and you clothed me, I was sick and you visited me, I was in prison and you came to me” (Matt 25:35-36) but the righteous will ask, “Lord, when did we see you hungry and feed you, or thirsty and give you drink? And when did we see you a stranger and welcome you, or naked and clothe you? And when did we see you sick or in prison and visit you” (Matt 25:37-39)? This seems to indicate that the righteous are not keeping track of their good works because if they keep track of their works then God may not but if we forget about our good works, then God won’t just as Jesus says “Truly, I say to you, as you did it to one of the least of these my brothers, you did it to me” (Matt 25:40). Our church has a prison ministry and even our latest new member had his own personal prison ministry because we’ve taken to heart Jesus’ teaching in Matthew 25 which asks, “when did we see you hungry and feed you, or thirsty and give you drink? And when did we see you a stranger and welcome you, or naked and clothe you? And when did we see you sick or in prison and visit you?’ And the King will answer them, ‘Truly, I say to you, as you did it to one of the least of these my brothers, you did it to me” (Matt 25:37-40). In other words, doing for the least of the world like the sick, poor, hungry, and those in prison is like doing it to Him but what of those who do nothing for Jesus? He says “to those on his left, ‘Depart from me, you cursed, into the eternal fire prepared for the devil and his angels. For I was hungry and you gave me no food, I was thirsty and you gave me no drink, I was a stranger and you did not welcome me, naked and you did not clothe me, sick and in prison and you did not visit me” (Matt 25:41-43). At one time, we who have repented and trusted in Christ were under the sway of the god of this world, Satan, and we didn’t even know it. It was only when God opened our blind eyes and our deaf ears to see and hear the gospel did we realize our sinful state and so then, we were compelled to humble ourselves and confess our sins to God. Then we turned away from and forsook our sins (called repentance) and then put our trust in Christ. That’s the only way anyone can be saved (Acts 4:12). Is that you? If so, why not be saved today? Previous post: What Are The Seventy Weeks Of Daniel Prophesied In The Bible?